The A20 got a more petite twin – the Samsung galaxy A20e. It moves away from the 6.4” Super AMOLED display and uses a 5.8” LCD instead (the resolution is 720 x 1,560px in both cases). The Infinity V notch is still here along with its 8MP selfie camera. 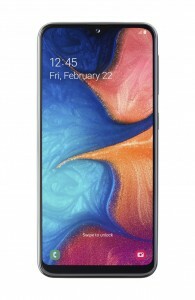 The Samsung Galaxy A20e is powered by the Exynos 7884 chipset (2x big + 6x small cores) with 3GB of RAM and 32GB storage, expandable with up to 512GB microSD cards. Note that this runs full Android, not Android Go. Due to the smaller size of the phone, the battery capacity drops to 3,000mAh but it fast to fill back up thanks to the 15W fast charge. 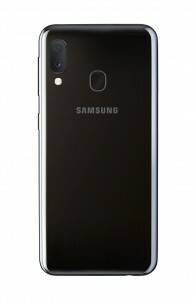 The Samsung Galaxy A20e will be available in Black and White, but pricing and exact dates are yet to be confirmed. 180 bucks for specs worth up to 120 - 150 euros not more. And when it comes to europe it will cost 250. 180 is price in india. For Android it's not enough. And I don't care how long it lasts in company testing, when I pay I need certain specifics. 4000mah is on top.